Imagine becoming a steward of this planet. Imagine sitting with your eyes closed making the world a better place. Or, imagine sitting in a group with your eyes closed, making the world a better place. Completely silent, no mind, subtly listening to the Cosmos with your nervous system, extending what is true and silently expressing into this world. Grounding life at its best into this dimension as your most important function… and easy enough to do. CORE Resonance Colonies™ employs a fundamental idea first proposed by Maharishi Mahesh Yogi, the yogi made popular by the Beatles in the early 1960’s. 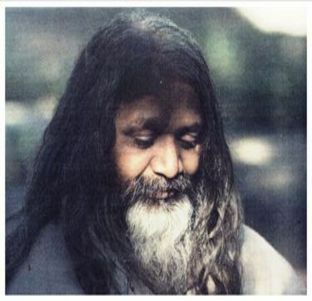 Maharishi proposed that one percent of the population meditating would have a profound effect on the population of the region in which they were meditating. And, in 1993, that’s exactly what happened. 4,000 TM and TM-Sidhi meditators descended upon Washington, DC and reduced serious crime almost 25 percent! And plenty of professionals were watching! It is said that the gov of Wash DC was profoundly influenced. You can learn more here, here and here. When we become quiet within; once we learn how to become quiet within, we accept our natural persona as an intermediary between heaven and earth. We plug into what’s true and become an extension of what’s true. And by so doing, we powerfully influence the whole! That’s pretty amazing! Our nervous systems are like living antenna systems, i.e., receivers, and in quieting our nervous systems, we “allow” Innate Intelligence to flow through us into this dimension to deliver solutions. Hint: Embracing this connection is the truest definition of unconditional love and, dare I suggest, our highest aspiration. It may even be our duty as sentient beings! and in a conscious use of our gaze, we consciously build and support what we do want. we become exponentially contributive, and we solve problems — similar to the demonstration by Maharishi in 1993. CORE Resonance Training™ is the Maharishi Effect™ on steroids, so to speak. We use proprietary neurofeedback combined with brain exercises to cause the components of the brain “to talk to each other” such that the brain begins to become internally coherent. A coherent brain produces far less dissonance (internal racket and noise) and produces far better output. This means that the frequencies of the brain (alpha, beta, delta and theta) become better toned, better defined and better disciplined — not so different from working out at the gym. This means the brain works better, receives better, outputs better and serves us (and the planet) in a more refined manner! which, sans distortion, brings a significant additional dimension to one’s life. the brain begins to organize itself and find its highest function. This would be similar to a blind person who, becoming able to see, begins to “clean house” and organize its surroundings. After all, when one cannot see, a great deal of day-to-day “housekeeping” falls away and one’s life becomes “cluttered.” As one becomes able to see; as the brain becomes able to see itself through the mirror of CORE Resonance Training™, it begins to organize itself – itself! When was the last time the brain had something significant to do? Learning to walk from a crawl, learning to ride a bicycle (balance), or learning to swim (death-defying) are good examples of brain-learned experiences. Teaching the brain how to clean itself up is the next step in our personal and collective evolution. School, a new job, moving to a new city or managing other life experiences is far more about the mind. The mind is about survival, defensive posturing, memorization and settling into new habitual patterns as quickly as possible to protect the brain from the overload of having to manually process everything that occurs. According to Joe Dispenza, the brain only consciously processes about 2,000 bits of new information per second while 400 billion bits of information are available — and ever changing as potential. Instead, we must consciously return the brain and nervous system to its function as a receiver and throughput mechanism for Innate Intelligence to express through (us) without distortion. It is in returning the brain to its natural function that we turn off the overload of the brain manually attempting to process the world. It is the mind, as a guard dog for a brain on overload, issuing reactionary and defensive posturing, and missing the big picture, that gets us into trouble as a species. Instead, with the nervous system attuned to its natural state “of whence we came,” not so different from tuning into a radio station, and not any different from the rest of the plant, animal and mineral kingdoms on this planet, we begin to “relax, let go, and let God,” so to speak. the busiest freeway on the planet, the I-405 in Los Angeles, would be empty (joke), etc. exponentially accelerates the beneficence of the Universe delivering solutions into our world. After all, it was Dr David Hawkins who suggested that as we become more conscious, we become exponentially more contributive. As we become more into alignment with the Cosmos expressing, we counterbalance dysfunctional reality creating. For example, one person at 700 (admittedly a very high number) on Dr. Hawkins Map of Consciousness counterbalances 70 million people below 200. One person at 600 counterbalances the negativity of 10 million people below 200 and one person at 500 counterbalances the negativity of 750,000 people below 200, and so on. Suddenly, we know how the Maharishi Effect™ works! we, in partnership with each other and Universal Forces, deliver solutions right on queue.